This year marked the 32nd Annual Gala and Silent Auction held by SOME (So Other Might Eat). SOME is an interfaith, community-based organization led by Father John Adams, to help the homeless and poor of our nation’s capital. 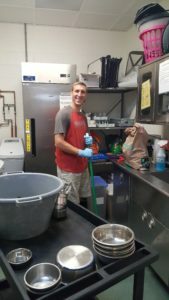 They provide basic needs of food, clothing, and health care to those in need on a daily basis, as well as job training, addiction treatment, and temporary housing to assist in long-term needs geared towards eliminating their current homeless situation. The Gala and Silent Auction funds for the last 32 years have helped to ensure that SOME is able to sustain their services for another year. Suzanne Clark, a member of our Corporate Advisory Board, was this year’s Silent Auction Chair. Suzanne has been a part of the Silent Auction committee for the past 15 years and her support and leadership has been critical to SOME. The Silent Auction consists solely of generous donations by businesses and individuals. 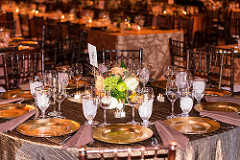 Auction items this year did not disappoint the nearly 700 guests who attended the Gala. So many wonderful items to bid on were available, with highlights including: Ambassador-hosted embassy dinners, tickets to top concerts, grand getaways, fine wines, family activities and spa packages. 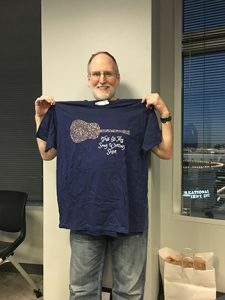 CC Pace President and SOME Corporate Advisory Board Member, Mike Gordon and his wife Tracy donated a New England Clambake for 20 guests that brought in a winning bid of $1,100 to help the homeless. The total amount raised from this year’s Gala and Silent Auction was approximately $1.1M. 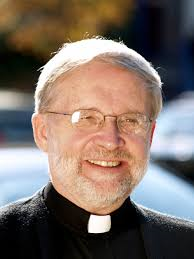 Each year, SOME presents the Father Horace McKenna Humanitarian of the Year Award to individuals who have performed outstanding work to benefit the poor and homeless in Washington DC. This year Allison and Matthew Shay were the honorees and were highlighted for their volunteerism as event chairs and committee members, their in-kind donations, their fundraising and their own generous financial contributions. 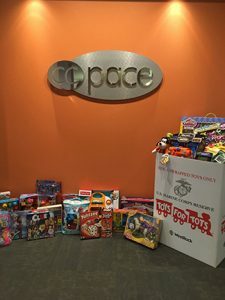 Each year CC Pace is proud to be a supporter of SOME and the services they provide to those less fortunate in our community. Visit SOME.org to learn more about this organization and how you can help. 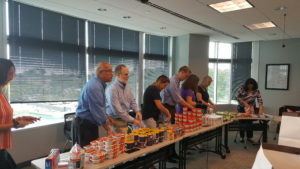 CC Pace employees held their second food packing event to support the efforts of Food for Others Power Pack Program. 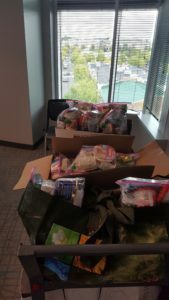 The program was designed to ensure that elementary school kids in need of food in Northern Virginia have enough to eat over the weekend. In Fairfax County alone, more than 60,000 people are considered food insecure. Each Power Pack gives the children healthy balanced meals, and helps those families who need it most. All the supplies needed were purchase by CC Pace, and we had over a dozen employees participate in this community outreach event. Our team of volunteers had a great time, working together to assemble 48 packs for a total of 288 meals! All the packs were personally delivered by our volunteers and will be distributed by Food for Others. Want to learn what you can you do to help stop hunger? 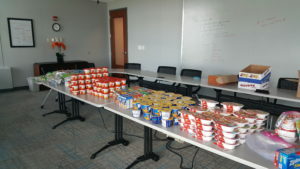 Visit Food for Others, Capital Area Food Bank, So Other Might Eat (SOME) and Feeding America. 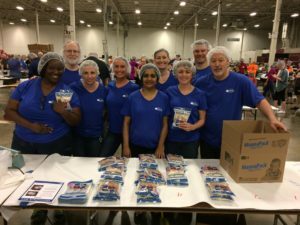 Volunteers from across Northern Virginia came together to take part of an exciting and historic event called 2018 Food Fight— supports the Nation’s Fight Against Hunger sponsored by Feed My Starving Children. An estimated 6,200 children die worldwide each day from malnutrition and hunger-related diseases. This organization is working to get food to those in need as quickly as possible by hosting events like this one. We want to express a special thank you to all the CC Pacers who participated in the extraordinary event. Our CC Pace team of volunteers met up at the Dulles Expo Center in Chantilly, Virginia to join other community members to participate in a huge, weekend-long event to pack over 3.5M meals for starving children around the world. 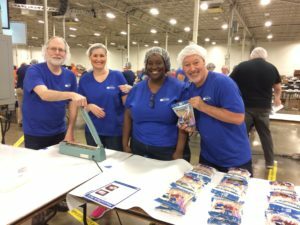 Dressed in their bright blue CC Pace shirts and lovely hair nets, they rocked out to music and worked together to pack 1,440 meals at their station. During their time slot alone, all of the volunteers packed more than 100K meals. Imagine all the children those meals will feed! If you would like to learn more about or support this organization, please check out their website https://www.fmsc.org/. You can also see how these meals are in making a difference in the lives of those who receive them by visiting this link 2018foodfight.com/see-the-impact. 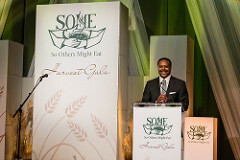 Recently, we attended the SOME Gala at the National Building Museum in Washington, DC. SOME (So Others Might Eat) is an interfaith, community-based organization that was founded in 1970 by Father Horace McKenna, to help the poor and homeless of our nation’s capital. They work to meet the immediate daily needs of the people they serve with food, clothing, and health care. 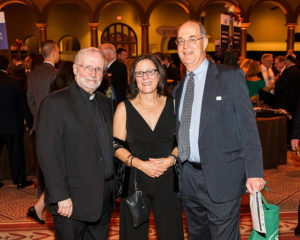 Each year, SOME’s Corporate Advisory Board hosts the annual Harvest Gala to raise funds for SOME’s programs, which include their job training program, residential addiction treatment program and to support their affordable housing initiatives. The event is sponsored and supported by many businesses and individuals. To date, this annual event has raised over $10 million dollars to support their programs. This year’s gala consisted of a silent auction, dinner and the presentation of the SOME McKenna Humanitarian award. This award is given each year to an individual(s) for their dedication and hard work on behalf of SOME. The SOME community is looking forward to the 2018 grand opening of the Conway Center on Benning Road in DC. This center will include housing, job training, a medical clinic, offices and retail. In memory of Elizabeth Donohue, who was a compassionate advocate and benefactor of SOME, the Corporate Advisory Board named the family housing complex on Spring Road The Liz Donohue House. Mike Gordon, President of CC Pace, has been on the Corporate Advisory Board of SOME for the last 19 years and CC Pace has been a proud supporter of this outstanding organization that has given so much to the community. Visit SOME.ORG to learn more about this organization and what you can do to get involved. 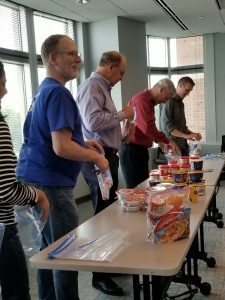 CC Pace employees came together to for a food packing event to support the efforts of Food for Others Power Pack Program. 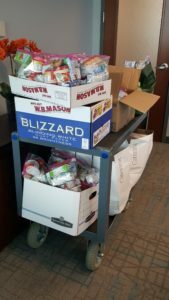 The Power Pack Program provides food packs for elementary school kids in Northern Virginia as a safety net to ensure that they have enough to eat over the weekend. This is a way to provide a healthy balanced meal for children who are either eating unbalanced meals, or perhaps adults who are skipping meals so their children can eat. CC Pace purchased all the supplies needed for this event and our employees worked together to assemble the packages. 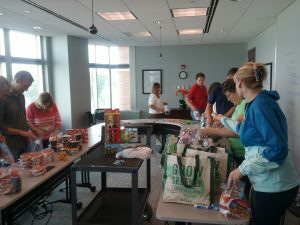 This effort tested our “production line” skills and although it started out a little rocky, it ended great and we were able to get all the food packed and ready for distribution by Food for Others. In total we produced 288 meals, which will help to feed 48 children. Want to know how you can help? 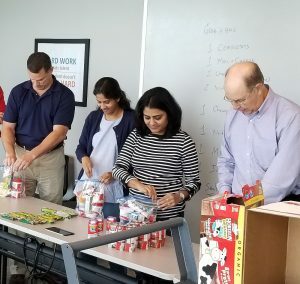 Visit Food for Others, Capital Area Food Bank, So Other Might Eat (SOME) and Feeding America websites to learn what you can do to help stop hunger! Each year the Fairfax Animal Shelter helps four to five thousand animals by providing a safe environment and adoption services. 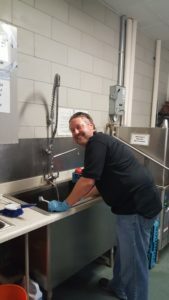 CC Pace employees and friends volunteered here last week to support this great organization and did a great job of cleaning the facility, folding towels, and organizing supplies. While our employees did not interact with the animals, they were able to walk through the facility and see the dogs, cats, and other smaller furry and feathered creatures and their environment. 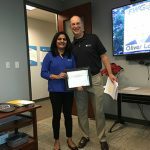 You can see by the smiles in the pictures of our people, that this was a very rewarding event for everyone! 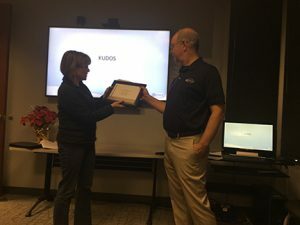 Thanks to Deb Young, our account manager, for coordinating with Debbie Shatz, a Director in our Financial Services practice, to set up this event. Debbie is a long-time volunteer at the shelter and she organized and directed our activities for the evening. We would like to give a special shout-out to Tracy Gordon, Bobby Pantall, Jason Kellenbenz, and everyone else who donated the vast amount of toys and essentials needed by the shelter. They were well received and very much appreciated! Want to get involved? 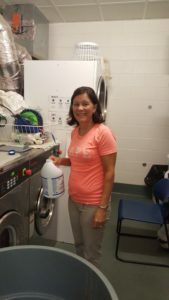 Contact the Fairfax Animal Shelter, they can always use volunteers! CC Pace joined Cornerstones in December for their annual winter coat event. CC Pace’s corporate contribution in conjunction with employee donations provided 20 coats for this important drive. 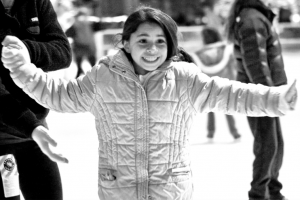 Cornerstones offers the donated coats to those in need from November through March. CC Pace takes pride in supporting our community by offering corporate contributions and participating in various events throughout the year.